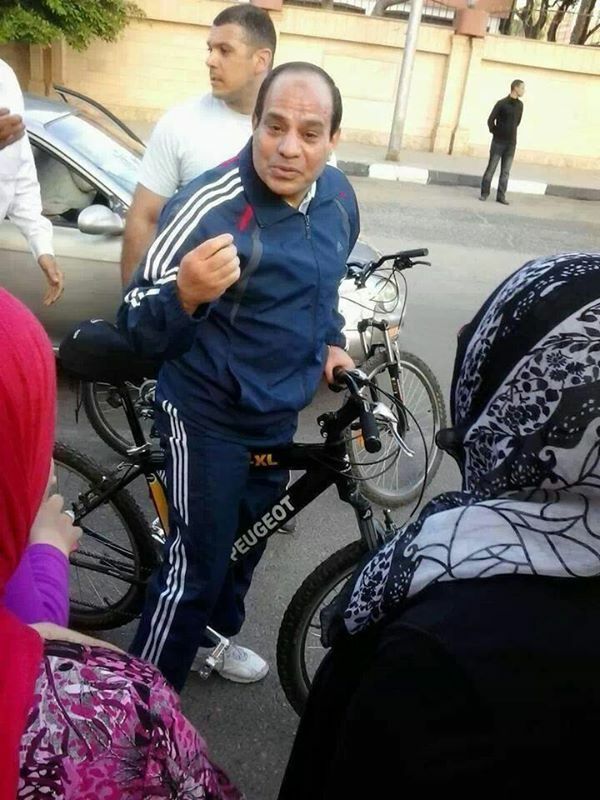 Egypt’s former Defence Minister and Field Marshal Abdel Fattah Al-Sisi has cause a stir on social media after he was photographed riding a bicycle on the streets of Cairo. 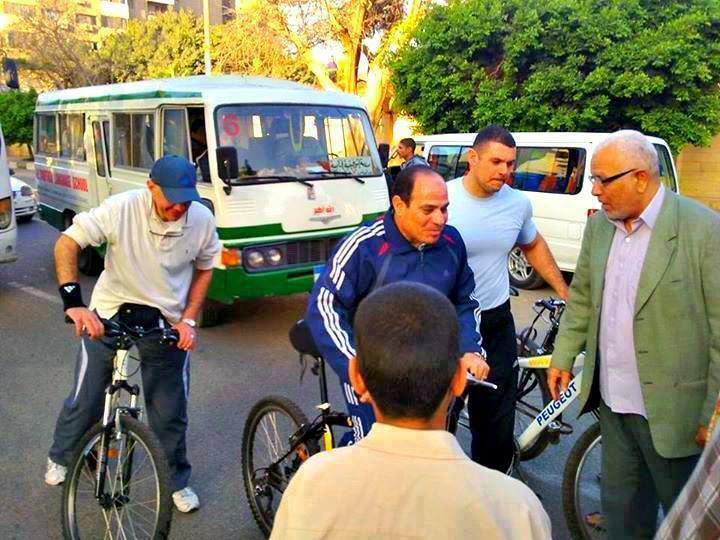 While images of Presidents and world leaders exercising and playing sport is normal abroad (like Norway’s Prime Minister cycling to work or the USA’s Obama playing basketball), images of a man widely seen as the winner of Egypt’s next Presidential elections riding a bicycle are perplexing to many in Egypt: it is not every day that the country’s former top Military official is seen wearing a training suit. Sisi in a suit was already weird enough (August 2013). 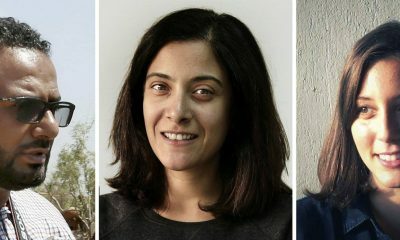 Following the photographs going viral, some Egyptians have hailed Sisi for promoting alternative transport solutions and the importance of maintaining the environment. 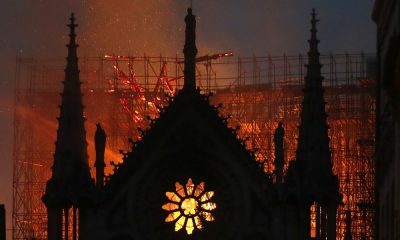 Others remain sceptical. 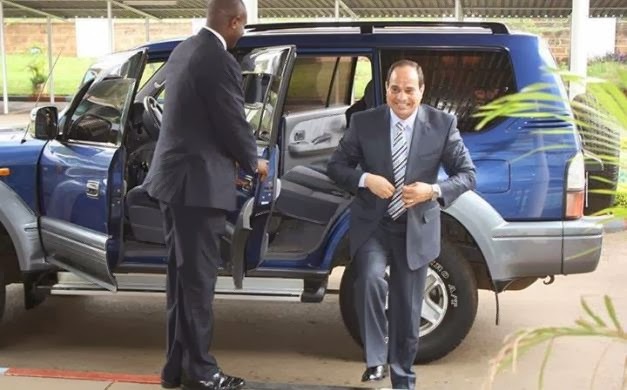 One thing is sure though: Hamdeen Sabbahi, a prominent Presidential candidate, is in trouble when photographs of Sisi acting like an every day person go viral. *Please note: this line is not intended to be taken seriously.